OK, so we’re guessing you’re not bad at growing weed—but how good are you at Christmas gift ideas for the weed appreciating folks in your life? Need a little gift-buying guidance? With our top Christmas gift ideas for the weed lovers in your life—plus an awesome totally counter-intuitive way to choose that takes the stress out of gift buying, whatever the occasion. 1.1 Giver-centric Gifts Though? Are You Sure? Choosing a gift can either really BOMB, or have a fantastic outcome. The process of buying the right gift can cause pretty deep anxiety (not the thing you really want). Even so, psychologists do agree that basically, the idea of gift giving is important as it defines relationships and strengthen bonds with family and friends. But hey, we can help you do it right! As a weed home grower, the best way for you to give a gift is totally unexpected: Make it giver-centric. Basically, you need to give something that reflects your own personality and discloses something that you like about yourself. You need to give the gift of weed in some way. No, that doesn’t mean home grown weed. Your friends already get that (hopefully). Nope, you’ve got to show generosity, be insightful, and give from the heart. That is what really makes a gift special and memorable. Giver-centric Gifts Though? Are You Sure? Yep, sounds counter-intuitive, but studies now find that people who receive giver-centric gifts feel closer to the giver. So what is a giver-centric Christmas gift idea? Simply, a gift that reflects your personality. When a gift reflects the personality and the likes of the giver the recipient often finds greater meaning in that gift— presumably because they like you and you mean something to them. And you have things in common. To be clear, though, we’re certainly not talking about selfish gifts here. Rather you’re looking to give something that’s both symbolic of you and illustrates a little sacrifice—you know in choosing, buying and wrapping it up. Ultimately, it seems this can be a much better way to go than trying to prove how much you know someone and trying to buy something that reflects them. So how does this work practically speaking? How do you, personally, set about being remembered for your gift giving abilities? Well, just don’t give gifts that you don’t really relate to. What we are saying is that the people, who receive the conventional box of chocolates or pretty bouquet of flowers, just don’t really get that WOW feeling from these types of gifts, and they sure won’t remember that you were the guy that gave it to them. Or if they do, you’ll be That Generic Gift Guy! The first thing you gotta do is think about your passion. That’s an easy one, right? If you’re reading this, we know you have a passion for home grown WEED. So the best thing you can do is give something that reminds your friends and family of what you are good at—growing POT, MARIJUANA and WEED. 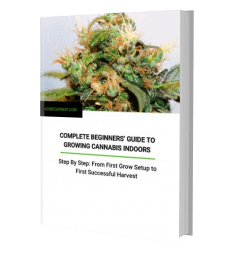 Give the gift that a true weed grower would give. To help you along we have put together a list of our Top Christmas Gift Ideas for the cannabis lovers in your life. If you really want to give the gift of elegance, think of the “Celtic” by Tokebox. This is a sweet gift for any real pot connoisseur. This toke box offers a beautiful blend of hardwood craftsmanship and functionality. It has a nice safety lock feature that protects your privacy and two interior trays offering dual functionality. The Alder hardwood that the manufacturer, Tokebox uses, offers an elegant, airtight design that every stoner loves. It comes with a built in mirror on the inside of the top, which makes the box even more attractive. However, the features we like best are the tray which hold accessories, vials, grinders and so on, and the lock that offers complete privacy from prying hands through the 3-digit combination lock. Overall, it is a fine toke box with a gorgeous engraving of a Celtic knot on the lid. OK, so this gift doesn’t have much to do with weed, except for the fact that it looks like it. This is a cool artificial marijuana pot leaf hedge. Buy two or three panels and give to someone so they can use it as a wall hanging. Just imagine how a cool marijuana wall will look in a bedroom or living room. Your gift recipient can make a privacy wall or hedge, and have a private area to relax and enjoy that great weed. 2 pack, 4 pack, and 12 pack. These outdoor marijuana panels are made of high quality polyurethane with UV protection for longer life and non-fading. This may be the perfect gift for the person who has it all, except for great taste in decor. Unlike most weed grinders, the Phoenician Elite is a high end grinder and it’s also elegant and cool looking because of its high quality aluminium chrome plating (aircraft quality). This is the gift for someone who really likes quality stuff, as it is a top of the line, classy looking grinder. This is a grinder that is different from others, the locking system is a simple air-tight twist lock system that allows for a good grind but is also easy to open. The top is magnetized and the grinding teeth are super sharp. The result is a courser grind when you need it. The screens are removable for cleaning or for easy replacement. So here is another grinder. Can we help it? The weed lover always needs a good grinder, and it is the one thing that a friend will use for years, and will always remind them of you. The Lincig grinder is a quality product and best of all, it comes at a very fair price. It has a very innovative design that is patented, and this makes this grinder stand out from others. It comes in an interesting wedge type of design, but more importantly, it cuts your weed well, instead of just mulching it. Overall, the Lincig offers a good cut of just about any weed your friends might use. Lincig offers sharp stainless steel blades, which in the patent pending wedge design allows for a better cut. We also like that there are different multi-hole mesh screens, which allow you to change the size of your weed cut as you want. This is a high precision grinder made of ultra-strong aluminium. It’s strong as an ox and gives the user good grinding capability. What more could you want? Overall, the design of the Lincig grinders offer durability and smooth engagement. While this may not be a true stoner related gift, it is still a cool one that any stoner will love. Shades that make you look good. These are the ultimate Ray-Ban wrap sunglasses that you can wear with a classy business suit, but if that’s not something your friend would wear, don’t worry. These shades go great with a pair of shorts and t-shirt too. The best thing is that they hide those red stoner eyes from onlookers. Ray Ban is world renowned for its iconic sunglasses. Any pair within the Ray-Ban collection makes a wonderful gift. A gift for the stoner who loves good fashion as well as his/her weed, and let’s not forget that Ray Ban embodies the fashion style for most adventurers. This is like the jewelry designed by hip hop and rap royalty: Wiz Khalifa, Odd Future, The Game, Snoop Dogg and Rae Sremmurd. You may even have seen their creations on TV shows, and in movies and music videos. We think this sparkling gold or silver metal weed leaf with rhinestone ibnsets is the clear pick of any marijuana jewelry collection. Thought humidors were only for expensive cigars? Well, not anymore. And if you’ve grown some top quality bud the investment in one or more of these beauties could be plenty worthwhile. This precision-handcrafted airtight mahogany humidor will keep up to two ounces (50g) of medicinal marijuana in optimal storage conditions. You’ll never have to worry about spoiled marijuana again. Makes the last stage of curing simple and stress-free. All sorts of care and attention to detail has gone in to these humidors—even the packaging is handmade! Also available in walnut; as well as smaller 1 jar models and with or without a lock. Hide your weed in plain site (keep it safe from the kids). A can safe that looks like the actual deodorant product. Fool everyone and protect your stuff! Yeah, on the outside this looks like a typical can of deodorant. The kids will even get a kick out of the fact that Dad only got deodorant for Christmas. Take a closer look though, and you’ll see that the top comes off to show a hidden compartment, a great place to keep the stash. When you envision this gift, you have to think of the lifestyle of your friend. This is an inflatable chair like no other you’ve seen. No more blowing or pumping air into the chair. This new technology just requires you to swing the chair around to catch the air and then roll it up. A perfect chair for the people who believe a perfect day is one spent at an outdoor concert, on the beach or camping. Literally, create a chair out of this CleverMade Air Chair. It inflates in seconds without the need for air pumps or your needing to blow. It is perfect for any outdoor event—and it’s pretty fun indoors too. Just watch those hot rocks! Give everyone something to do on Christmas day—or whatever the gift-giving occasion. This cool Adult weed pot stoner game is the gift that everyone can share. Win or Lose, it doesn’t matter, everyone will be high at the end of this game. Fun Adult Weed Party Game! Win or Lose – You’ll be HIGH on this game! Your Stash Isn’t Complete – until you have this game. As Seen In High Times Magazine. Play with up to 4 players. This is the one thing that every stoner needs in his home. OK, that’s our Top 10 list, but are you still having doubts? Still, wondering if just a simple bag of top quality home-grown wouldn’t do the trick? Well, it’s true, you probably could give them some of your very own marijuana and I’m sure they wouldn’t throw it back in your face—but is that really enough? Remember this: The perfect gift is not about how much money you spend. It is about generosity and selflessness. It is about your concern for the happiness of the recipients. Choose a gift that will show the recipient that you really care, whether it costs a little more than you expected or not. You need to empathize and see what the gift receiver likes, needs and craves. Show a little imagination. Showing some insight into what your stoner friend or family member wants or needs can make the gift you choose extra memorable. The last important element that a world-class gift needs to have is emotional impact. It needs to offer a jolt, a thrill or a shock when the recipient opens it. It needs to have emotional intensity so the recipient remembers the event. That is something that can only happen when you give the ideal weed related gift to your marijuana loving friends—and give a little bit of yourself too.